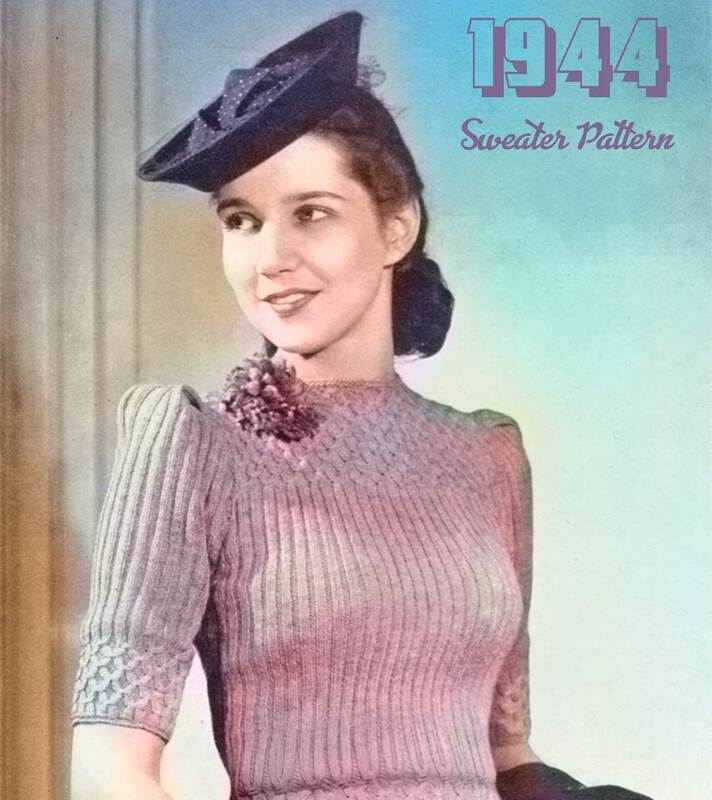 As a treat – here’s a free vintage sweater pattern from 1944, originally published by Paton. Just click on the image to download the pdf and save to your device. The measurements are for 36 bust but with plenty of stretch. Paton’s and Baldwins , defunct since 1961, was one of the great British knitting yarn manufacturers. You can pick them up on Ebay ! 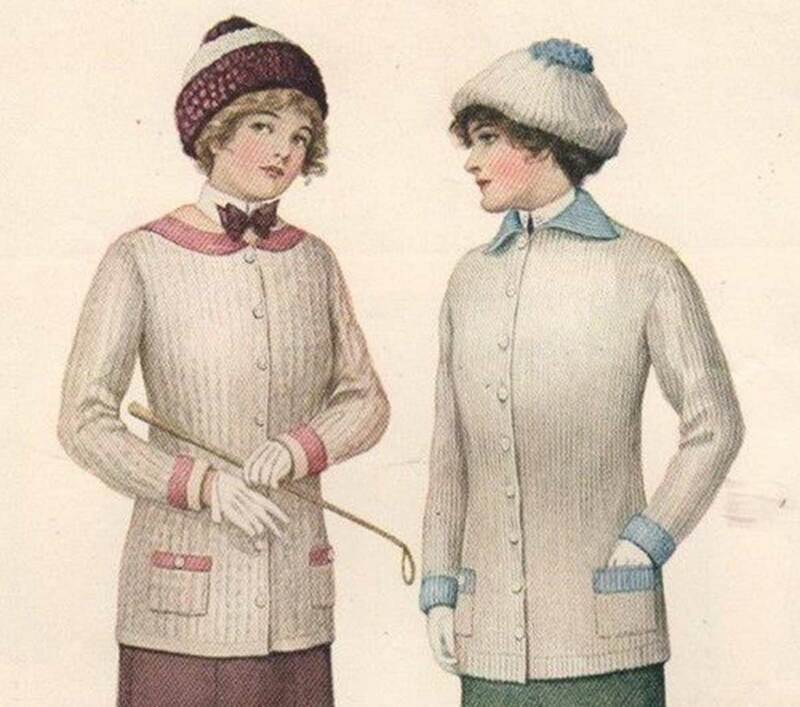 In this illustration taken from Ladies Home Journal, where the term ‘sweater’ was being used, this becoming ivory white was considered fashionable. If you were a budding motorist, then grey was advised. By the First World War era, the evolution of the sweater from the old fashioned “hug me tight” gave women their most useful garment to date and soon no women could afford to be without one. In chilly Spring, a sweater or sweater/cardigan could be worn as a coat, but not obviously for dress occasions, and in very cold weather it was exceedingly comfortable, affording the warmth of a fur-line coat without the burdensome weight of fur. 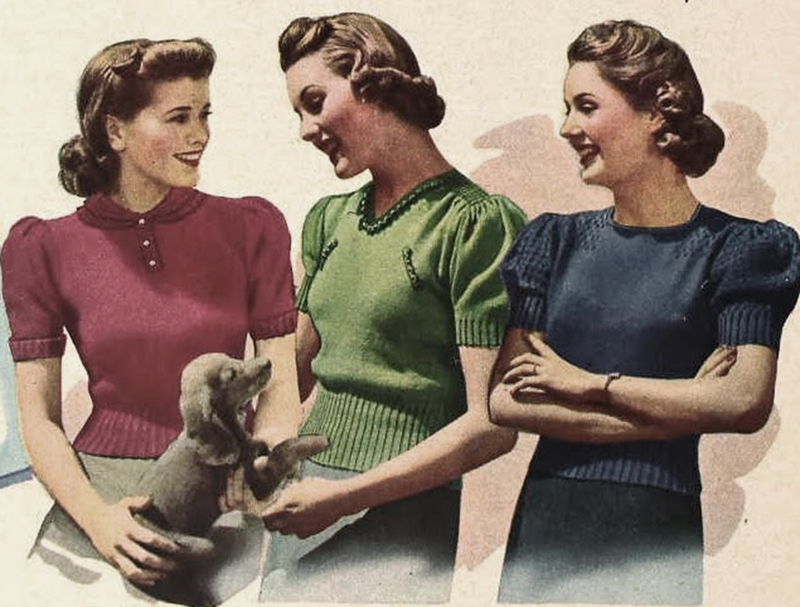 It wasn’t until the 1920s that desirable, fashionable colors became more available,unless a girl could knit well, and then all you needed was some colorful wool. In Paris 1916, it was noted that a troupe of mid teen schoolgirls were to be seen wearing pale lavender sweaters, along with navy blue and tobacco browns. 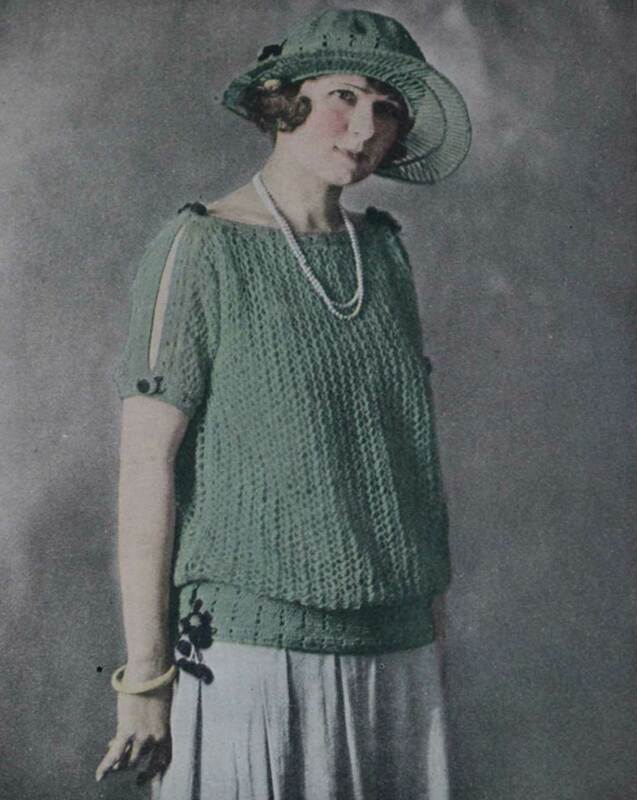 By the mid 1920s, some key sweater designs for women had a major influence on the garment becoming a necessity in a woman’s wardrobe, thanks to the likes of Coco Chanel’s jersey sweaters and particularly Elsa Schiaparelli’s iconic trompe l’oeil ( deceive the eye) hand-knitted sweater in 1927. 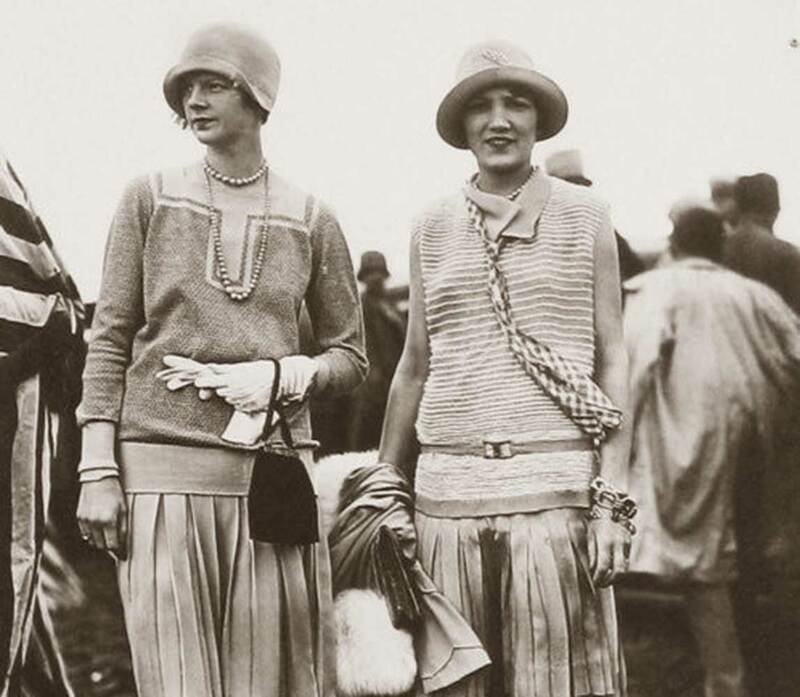 The dropped waist ‘jazz jumper’worn with pleated skirt,worn by languid society flappers as depicted in the likes of F Scott Fitzgerald’s Great Gatsby helped cement the sweater as a staple fashion item. 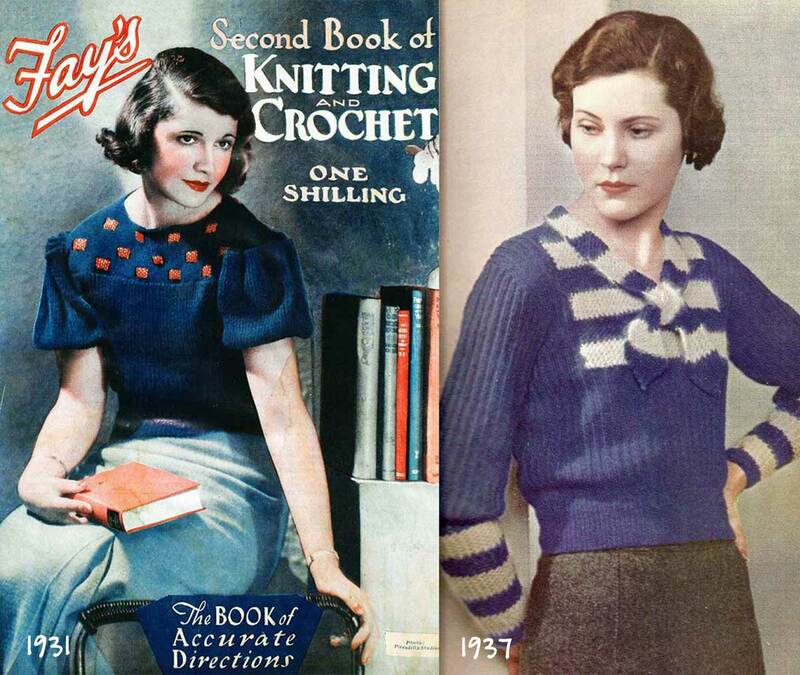 The sweater continued in popularity in to the early 1930s as the flapper look was replaced by a more sporty sophisticate girl. 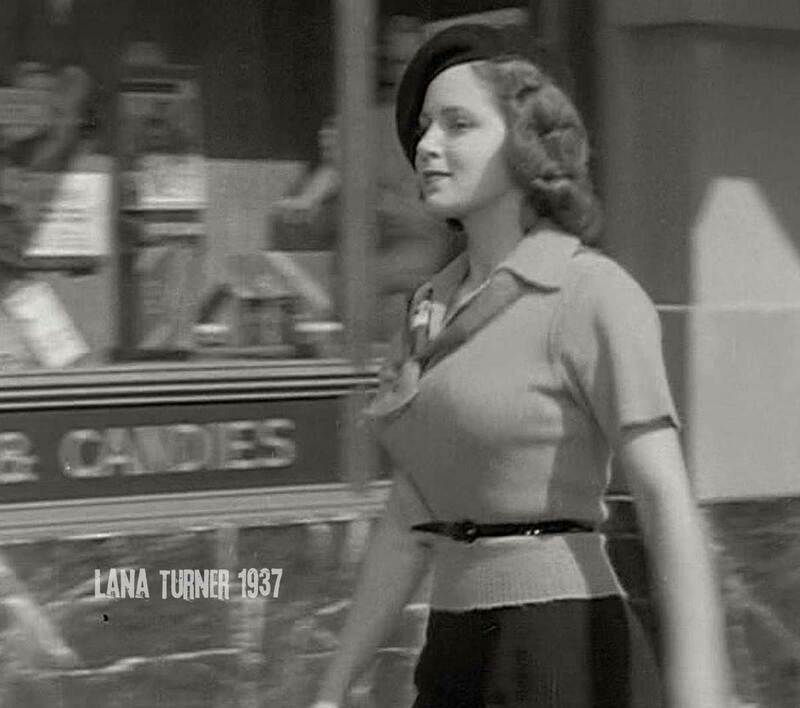 Lana Turner’s impressive screen debut sporting an eye catching Paris style beret and sweater in the 1937 film They Won’t Forget, earned her the pinup title ‘sweater girl’ by Photoplay. It may have contributed to its re-emergence in popularity but by the 1940s it was once again a popular daily wear item by necessity. 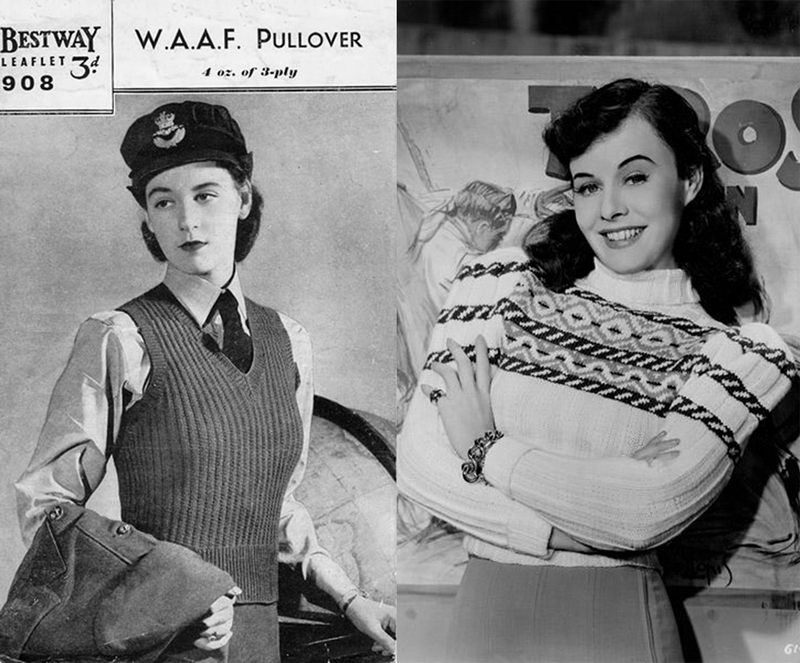 Certainly in the war era of the 1940s, sweaters were a must have for women in the forces, and were seen modeled by British WAAF and ATS girls. 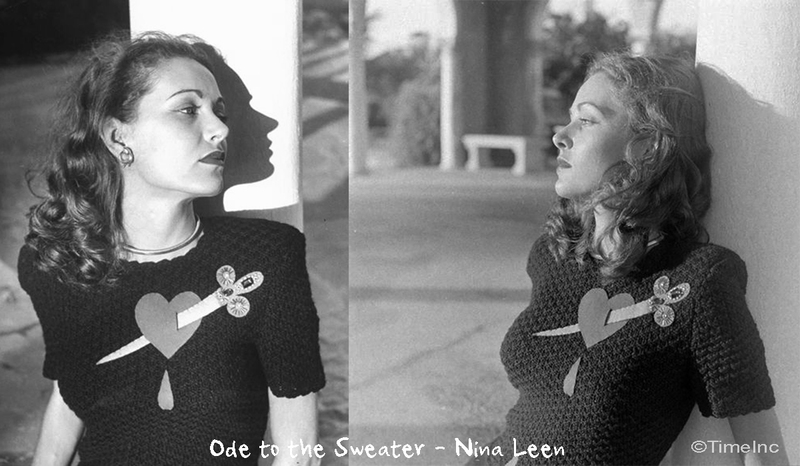 The sweater became a popular choice of wear by many pinup models and it was almost obligatory for Hollywood actresses to be photographed sporting a tight sweater. 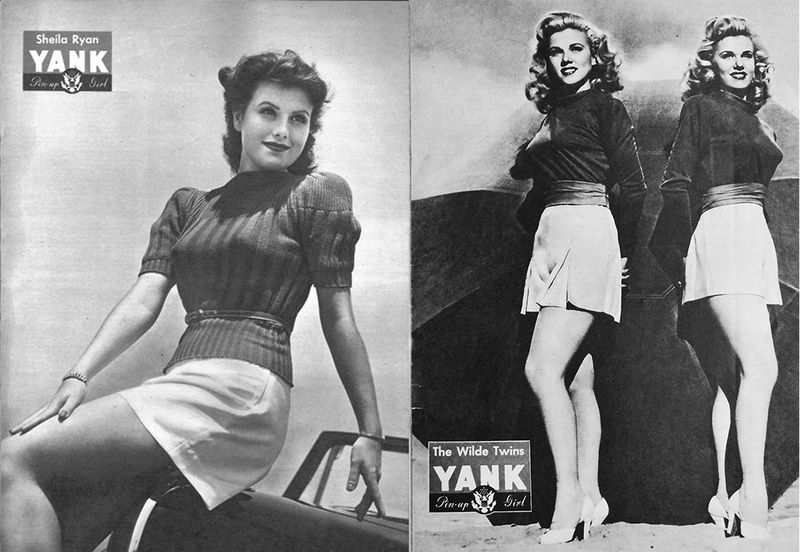 The standard 1940s bullet bras worn underneath certainly did their bit for the morale of young American soldiers fighting in the Pacific and in Europe. 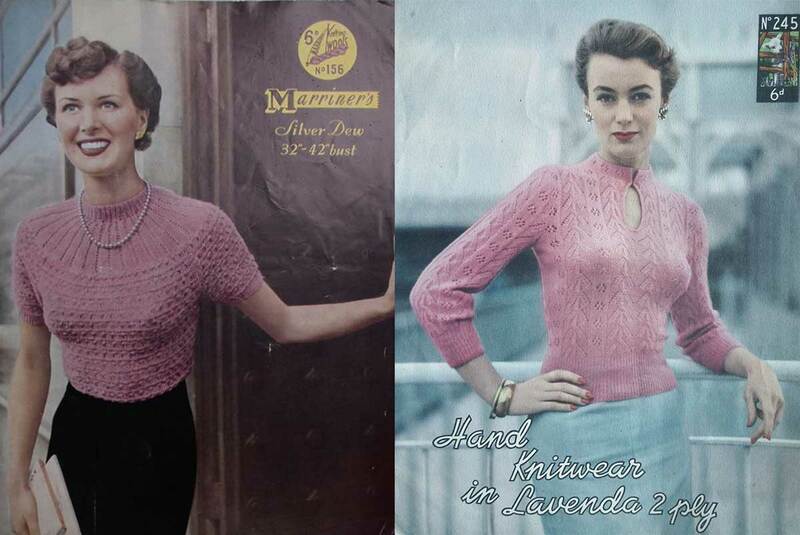 After the war, the sweater never looked back and has been in the top charts for ladies wear ever since. 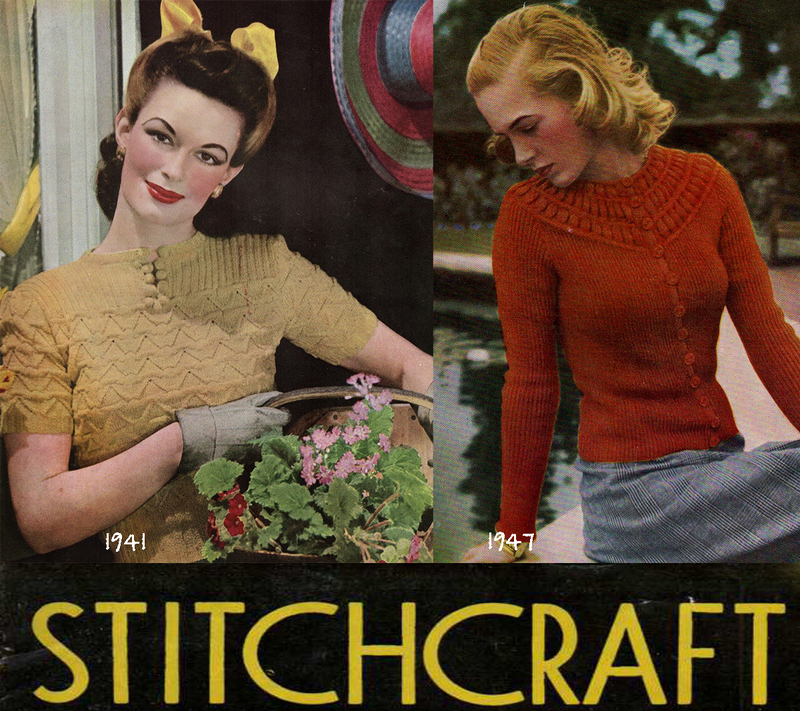 From the popular 1930s and 1940s era Stitchcraft and Needlecraft books to Paton’s Scottish Fair Isles knitting pattern books, you can easily pick up original copies today on Ebay or Etsy and get knitting ! One of my favorite online source at present for vintage patterns is Vintage Pattern Files, curated by blogger Wendy. You can source oodles of free vintage patterns here.